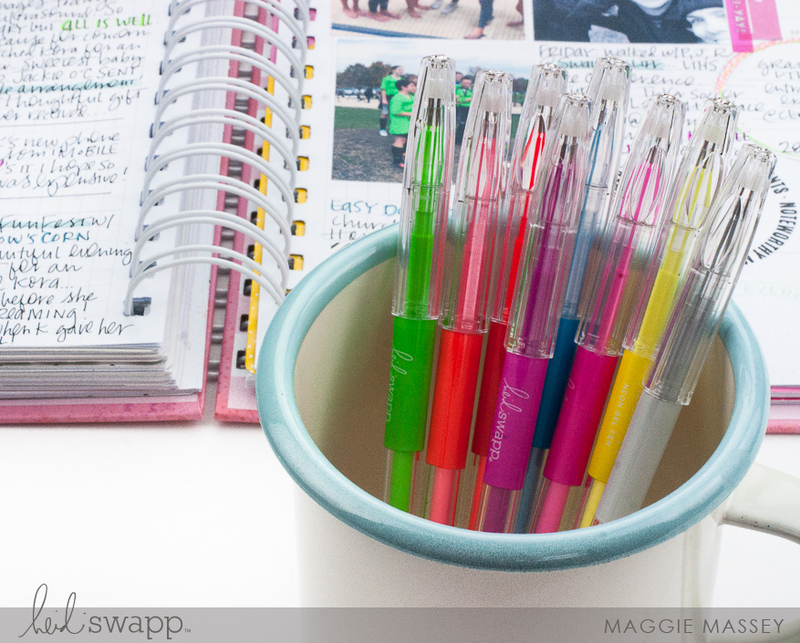 Maggie here today with a look at one of my favorite tools from Heidi’s brand new Color Fresh Memory Planner collection! This interchangeable Magnetic Date Stamp! 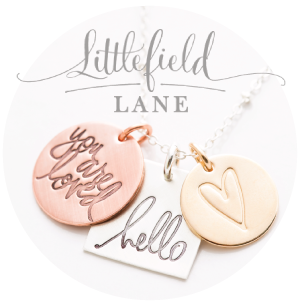 Years and years ago, when I first started documenting, I never gave stamping a second thought. 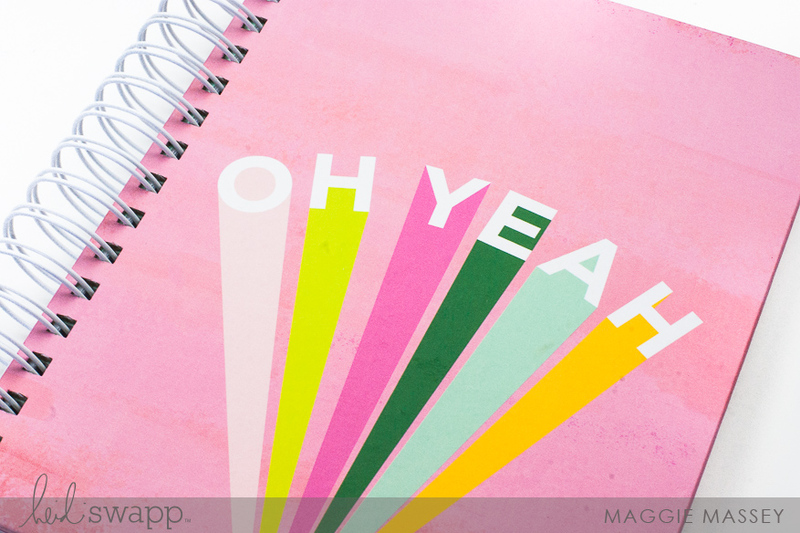 Pretty paper and stickers were my go-to creative products…and they were pretty much all I needed. 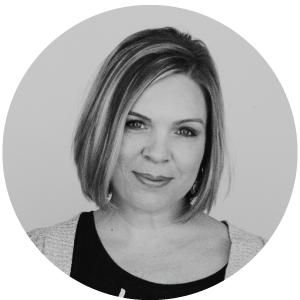 But, like with everything, change is inevitable. Now I find myself reaching for stamps and ink over and over again to decorate my layouts, travelers notebook spreads & especially my Memory Planner pages. 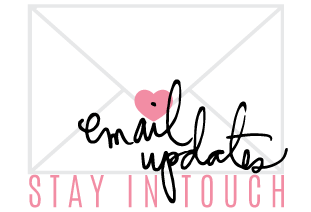 OK…so before I show you how I’m using this fantastic new date stamp, there are some things you should know. 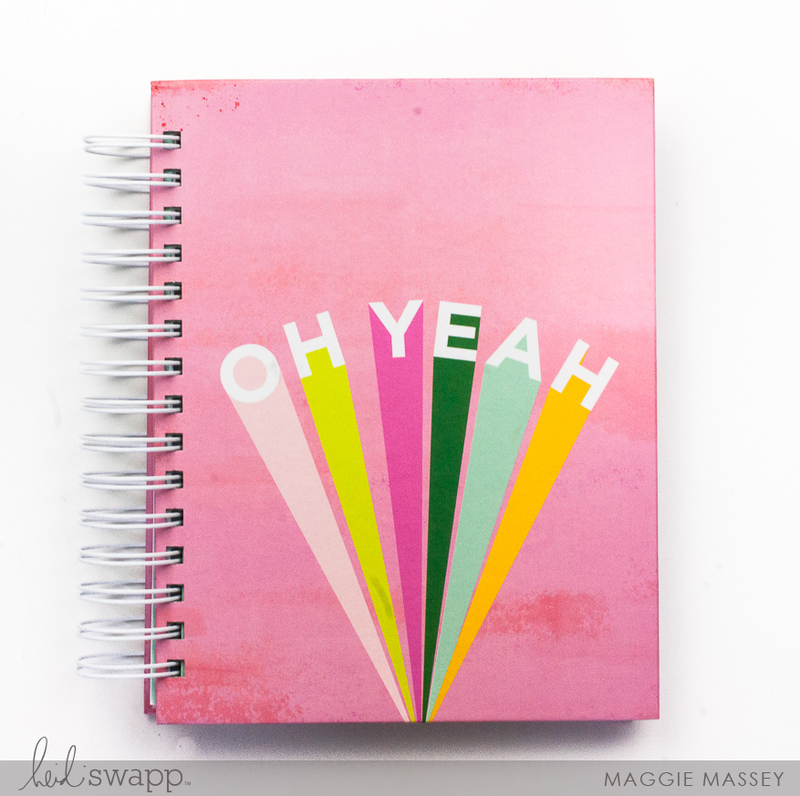 #1: Like last year, I’m using this fantastic spiral-bound Memory Planner to document our day-to-day…you can find it here. 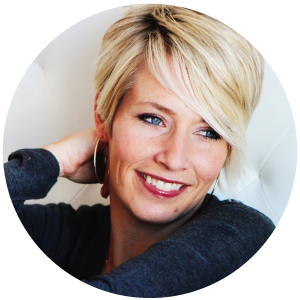 #2: Circles are my ABSOLUTE FAVORITE shape…and I use them everywhere in my work. 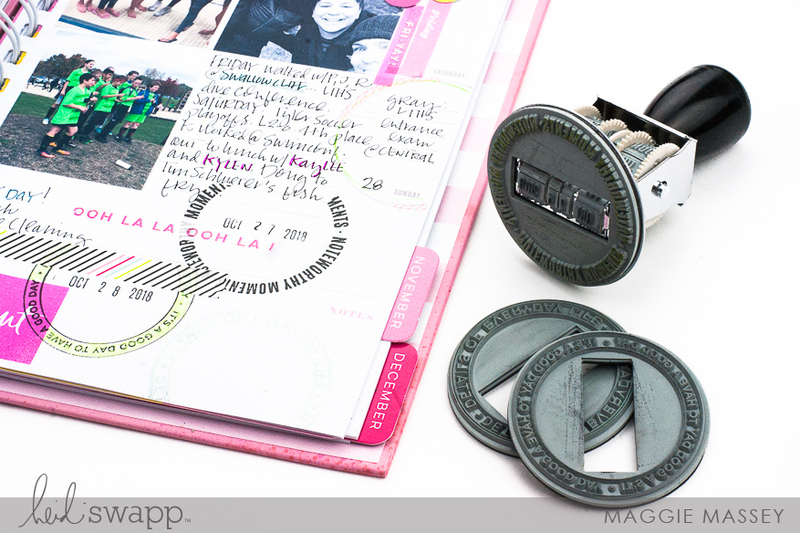 #3: Heidi designed this Magnetic Date Stamp especially for me because she knows all about my love for circles. OK, OK, that third one isn’t entirely true. The best thing about this stamp is that it’s so easy to change. 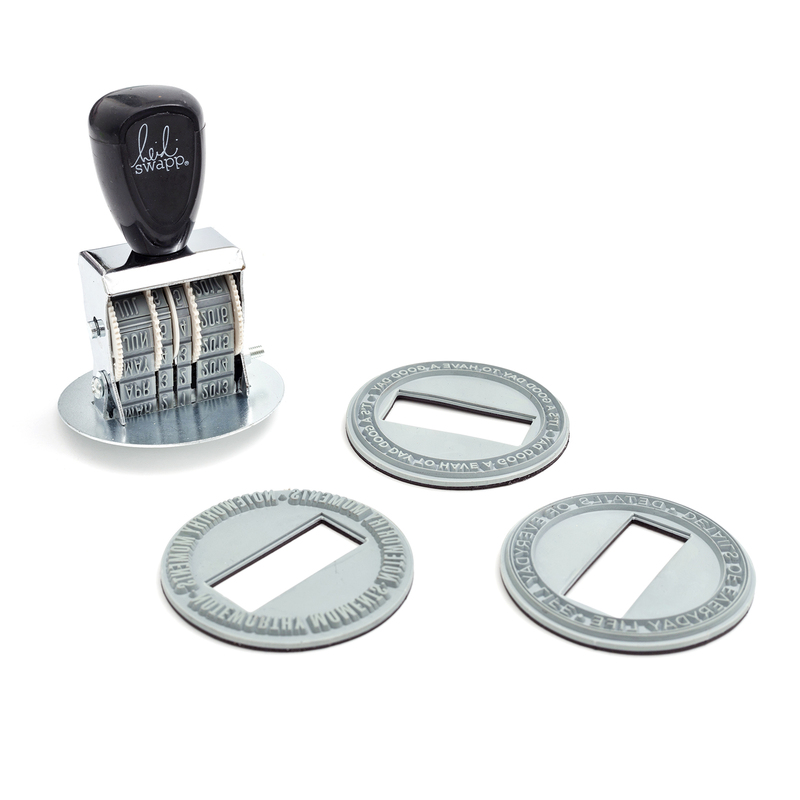 Simply peel off one rubber stamp from the roller mechanism, and replace it with a new one. Choose the date you’re looking for and stamp away! To make sure you’re not stamping over important photos or embellishments, simply place a sheet of scrap paper over whatever you don’t want to be inked. 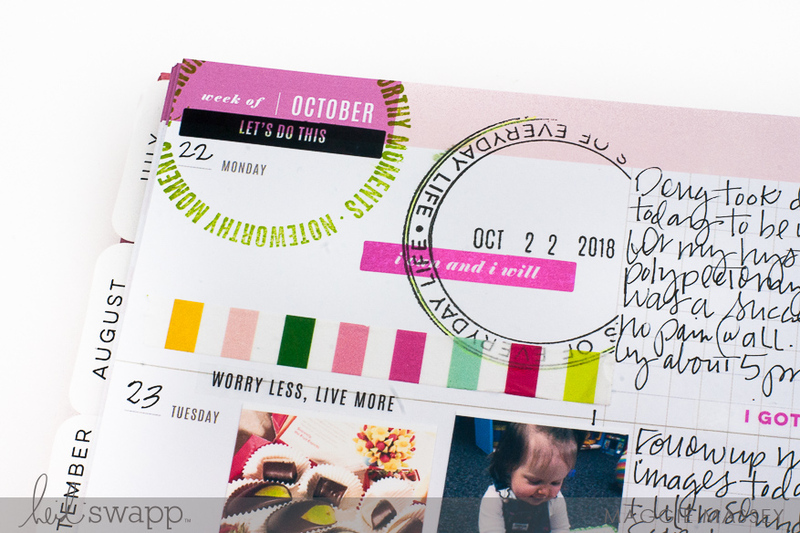 You can even color in the white space on your stamps to make them more personalized to whatever project you’re working on…see how I added that beautiful yellow to my “IT’S A GOOD DAY TO HAVE A GOOD DAY” stamp up there? 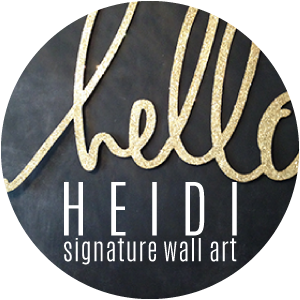 You can do that with Heidi’s new Color Fresh Neon Gel Pens! Love the circular stamp, but don’t need or want to add the date every time you stamp? 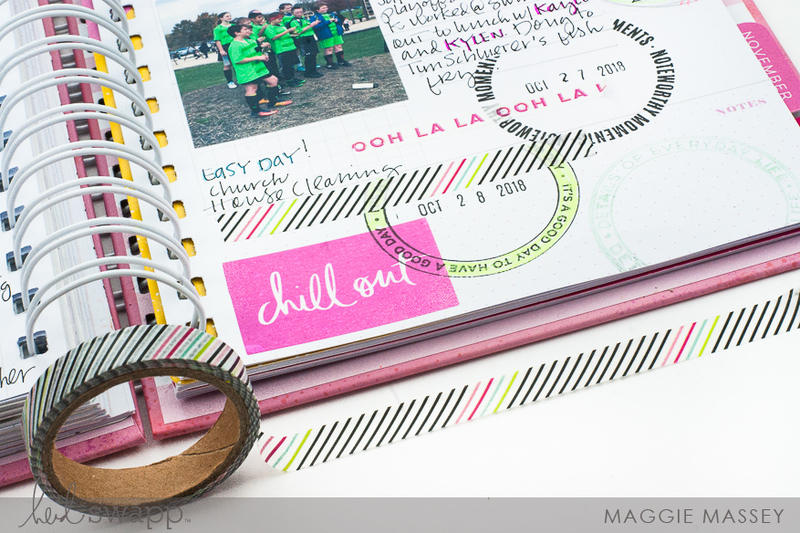 Cover up the date part of the stamp with a length of washi tape, ink your stamp, remove the tape, and stamp! 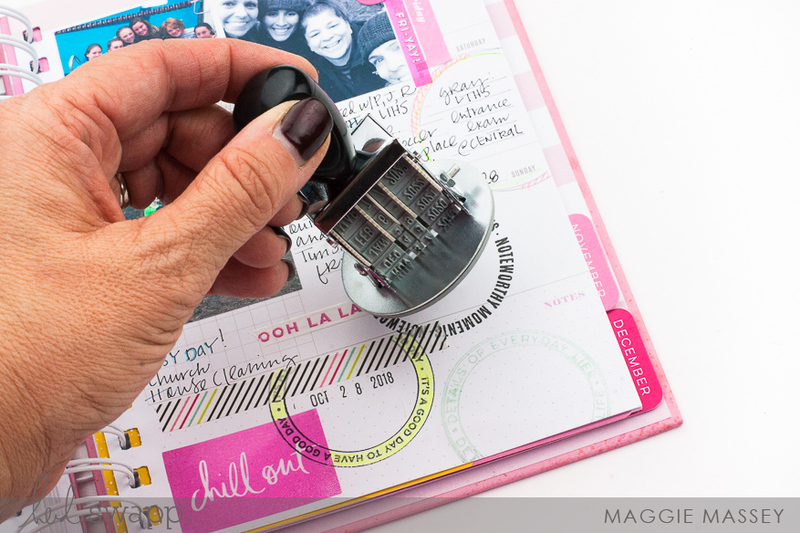 Simply don’t add the magnetic circular stamp to the roller mechanism – I did that on the stamp next to my daughter’s photo. And don’t worry about documenting past (or future!) 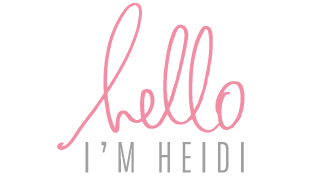 years…Heidi’s new date stamp covers 2012 – 2023! 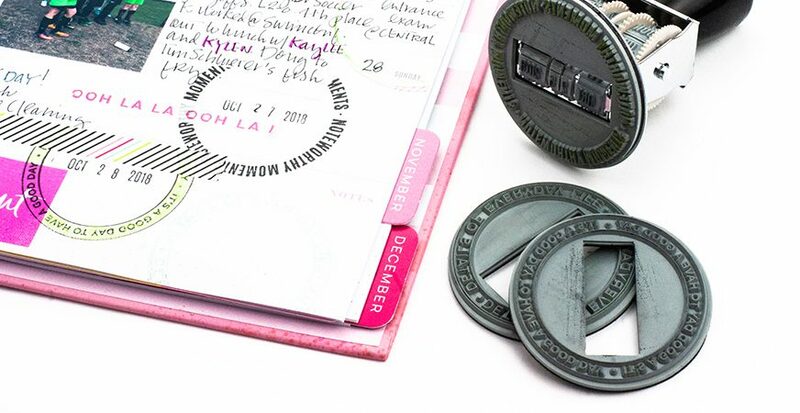 Honestly, you guys…the new Color Fresh Magnetic Date Stamp is the only date stamp you’ll ever need. 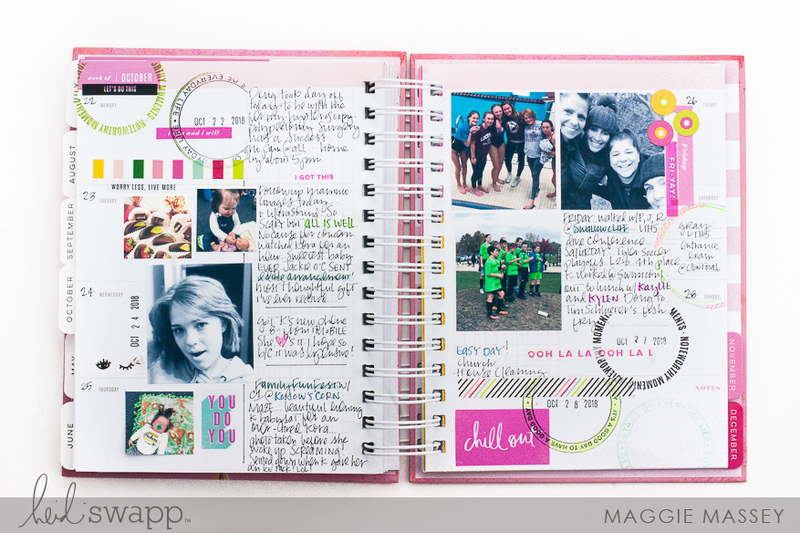 Thank you so much for stopping by to see some of my current Memory Planner pages! 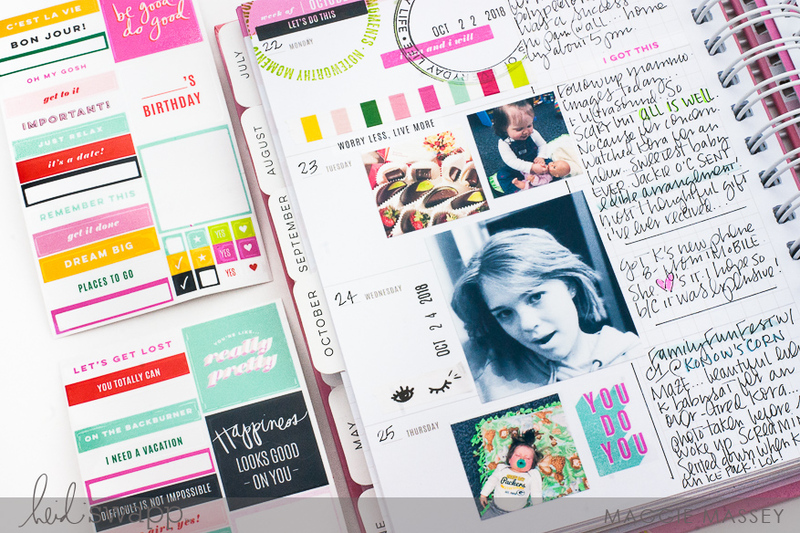 Color Fresh is arriving in online and independent stores (like scrapbook.com) RIGHT NOW!